Wende comes to CASA with impressive leadership and advocacy credentials, most recently as Executive Director of the California Conference for Equality and Justice (CCEJ) where she oversaw over education and conflict resolution programs that served over 7,000 people per year with a team of 20 staff and 250 volunteers. 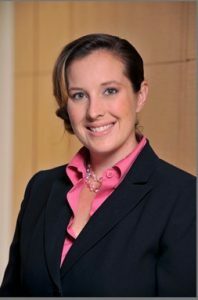 An attorney, Wende previously worked at Manatt, Phelps & Phillips in the Government and Land Use division and as a law clerk with Public Counsel focusing on immigrants’ rights for victims of domestic violence and human trafficking. Wende holds a J.D. from USC Gould School of Law, an M.P.A. and Certificate in Non-Profit Management from Arizona State University and a B.A./B.S. from University of Arizona. Wende is trained in restorative practices and has a long history working in the field of youth development to dismantle systemic oppression and develop collaborative, creative solutions to better serve youth who find themselves in the jurisdiction of juvenile dependency and delinquency courts. 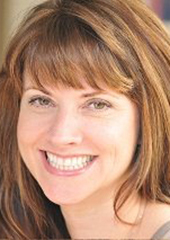 Fluent in Spanish, Wende is also a certified mediator and a foster, adoptive and biological parent. 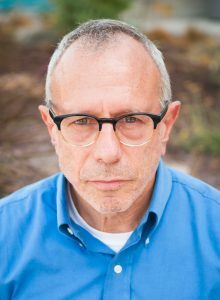 Robert Berman brings to CASA/LA over twenty years of financial management in non-profits, having worked as the Chief Financial Officer for Valley Community Clinic, LAMP Community, and The Los Angeles Free Clinic (now The Saban Community Clinic). Prior to his experience as a non-profit CFO, Robert worked for twelve years in public practice as a Certified Public Accountant in addition to serving as a Business Analyst as Rouse Financial Services. He received his Bachelor’s degree at University of California at Irvine, and his Master of International Management (now conferred as MBA) at the Thunderbird School of Global Management. A former Peace Corps volunteer, Robert has traveled extensively throughout the developing world, and brings with him critical knowledge of non-profit financial management and programming. Dan is a new arrival to Los Angeles and recently served as the Director of Development and Public Affairs for Urban Peak, an agency that serves youth experiencing homelessness in the Denver area. Dan has a life-long passion for serving those without a voice. He is a veteran of the United States Navy and graduated from the University of Colorado at Denver with an emphasis on Spanish-American Literature. When not building relationships for CASA/LA and raising funds so more youth and children can be served, Dan is surfing, hiking or on a road trip with his family. 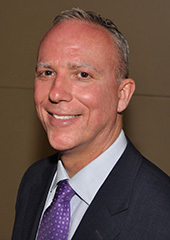 Camrin Christensen joined CASA of Los Angeles in 2015. 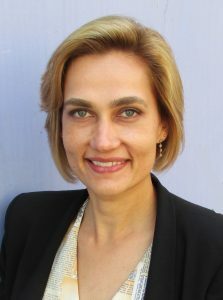 She has held management positions at Eurasia Partnership Foundation, an organization focused on promoting civic engagement in the South Caucasus. She also worked to eliminate corruption through increasing public access to information and facilitating citizen engagement in good governance. She has strong experience in program design, program management and evaluation. Camrin has worked for an Orange County based non-profit focused on providing at-risk youth with social and educational opportunities during after-school time, and at the UC Irvine Department of Education, recruiting and monitoring undergraduate volunteers in after school service learning placements. Camrin has an M.A. in International Affairs from the Fletcher School at Tufts University and a B.A. from Wellesley College. She was a Fulbright Scholar and Rotary Ambassadorial Scholar and is multilingual in Spanish, Russian and Georgian. Lynne served as a CASA volunteer for nine years before joining the staff. Her knowledge of CASA work and volunteers is coupled with expertise as a curriculum developer, facilitator and volunteer manager in a variety of settings, including work with at-risk populations. She brings strong communications, marketing and technology skills to the table. She has been a partner at Help Jim, consultant at Celgene, Tibotec Therapeutics and National AIDS Fund, partner at WorkPositive, Inc., contractor at Metropolitan Water District of Southen California, Director, Workplace Education at APLA, Director, AIDS Programs at Hollywood Supports and staffer at Broadcast Plus. 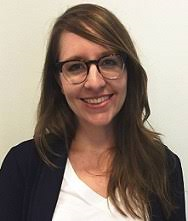 Maegan Mattock has over ten years working in social work, first at Los Angeles Department of Children and Family Services as a children’s social worker, and then as an Advocate Supervisor and Advocate Team Manager at CASA of Los Angeles. In February, Maegan was promoted to Director of Advocacy. Prior to CASA, Maegan spent time at the Los Angeles Center for Law and Justice, the UCLA Institute for Research on Labor and Employment, and the J. Paul Getty Trust. Maegan has significant experience building relationships with clients and community organizations, managing day-to-day program operations and complex projects including major events and large budgets, and has proven to be a leader in advancing social justice in diverse populations. Maegan has a B.S. in Psychology from UCSD, and a M.S.W. from UCLA, where she was awarded the Marjorie Hays Fertig and Ralph D. Fertig Fellowship in Social Justice. Coming from a family that was deeply involved in activism, Maegan has a committed passion for social work and its ability to change systems and the lives of the people within them.